An expert workshop on decommissioning of nuclear power plants, held at UNIST on September 25, 2017. Workshop aims to develop fundamental technologies for the safe decomissioning of nuclear power plants. 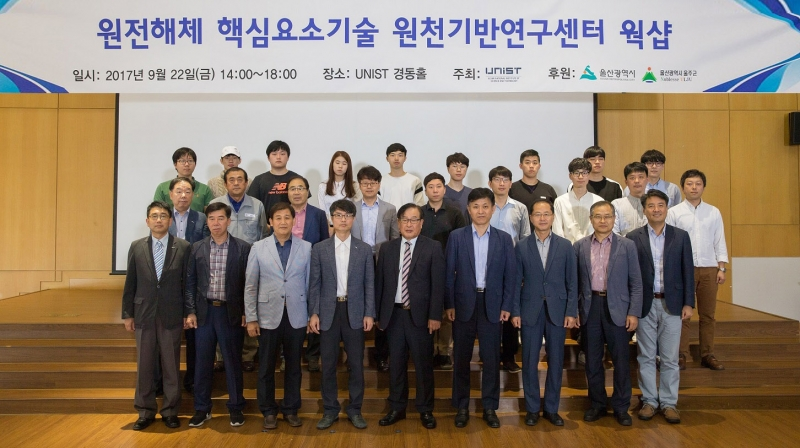 On September 25, UNIST held an expert workshop to develop fundamental technologies for the safe decomissioning of nuclear power plants, as well as to secure the manpower required for the nuclear decommissioning industry. 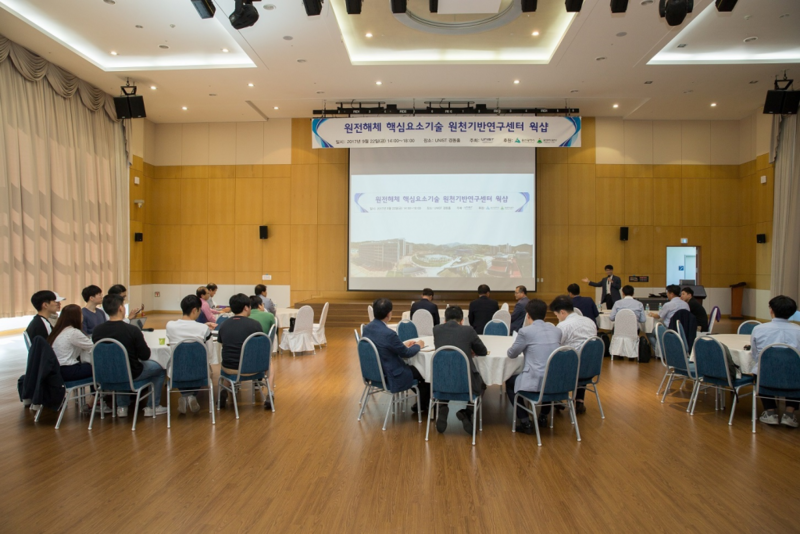 Held at the Kyungdong Hall of Main Administration Building, the forum was attended by Dr. GeunWoo Lee and Dr. WangKyu Choi of Korea Atomic Energy Institute (KAERI), Professor ByungSik Lee of Dankook University, and JaeHoon Jung of KEPCO Engineering & Construction Company, Inc.
South Korea currently operates 25 nuclear reactors, generating about a third of the country’s total electricity. In June 19, Kori No. 1, South Korea’s oldest nuclear reactor ceased its operation after reaching the end of its 40-year-lifespan. As more than half of the remainining 24 reactors are about to be depleted by 2030, decommissioning works are expected to increase in the future.